We continue the description of the panel Frailty, see the previous post. This work is an essential step in creating the diagnosis of aging. That, in turn, is the central theme in the task of radical prolongation of human life. 5. Neurons and neuromuscular junction . Losses of neurons occur throughout life, but especially at the age of 60 years. What causes atrophy of the brain, neuroinflammation, decreased cognitive abilities, disorders in the neuromuscular junction and loss of motor abilities in the elderly. The relationship between physical weakness and cognitive abilities in Alzheimer's disease, vascular dementia and moderate cognitive disorders was described. As established, the presence of brain pathologies, including Alzheimer's disease, cerebrovascular disease and Parkinson's disease are associated with a faster decrease in walking speed and faster progression of senile asthenia. Taken together, age-related neurovascular, vascular, metabolic changes can have a huge impact on neural circuits, impairment of cognitive functions and the emergence of neurodegenerative diseases, such as age-related dementia, neuropsychiatric disorders, depression, which are considered risk factors and the effects of senile asthenia . 1. Neurotrophic factor of the brain (BDNF) . It is expressed in many tissues, including the nervous, musculoskeletal, respiratory, cardiovascular, genitourinary and reproductive systems. The brain is active in the hippocampus, cortex and in the forebrain. This protein regulates important aspects of neuronal development and function. Such as the survival and differentiation of different neuronal populations, synaptogenesis, neuronal recovery after injury. BDNF is also involved in energy homeostasis and body weight control. 2. Agrin (Agrin, AGRN) . Has an important role in the formation and stabilization of synapses, including in neuromuscular junctions. Agrin is expressed in various tissues, as well as in non-neuronal cell types, heart, liver, kidney, lung, and Schwann cells. It is associated with various diseases, such as diabetes, kidney disease, lungs, cardiovascular, immunological and neurodegenerative diseases, as well as osteoarthritis and craniocerebral trauma. 3. Progranulin (PGRN) . Protein, rich in cysteine, which is synthesized by epithelial cells, immune system cells, neurons, adipocytes. It was first identified as a growth factor that takes part in early embryogenesis, tissue remodeling, and has anti-inflammatory properties. In the central nervous system, progranulin possesses a neurotrophic and neuroprotective effect. 4. The complement component of C3 and C1q (complement factor 3 and 1Q) is . Proteins of the acute phase of inflammation, refer to the cascade of the complement of the immune system, which controls the identification and elimination of undesirable pathogens, as well as apoptotic cells and inefficient synapses. Synthesized in the liver, macrophages, fibroblasts and lymphoid cells. 5. The AGER (Advanced glycosylation end-product specific receptor) receptor . Belongs to the family of immunoglobulins. Its activation is associated with the development of diabetes mellitus, neurological diseases and some forms of cancer. 6. 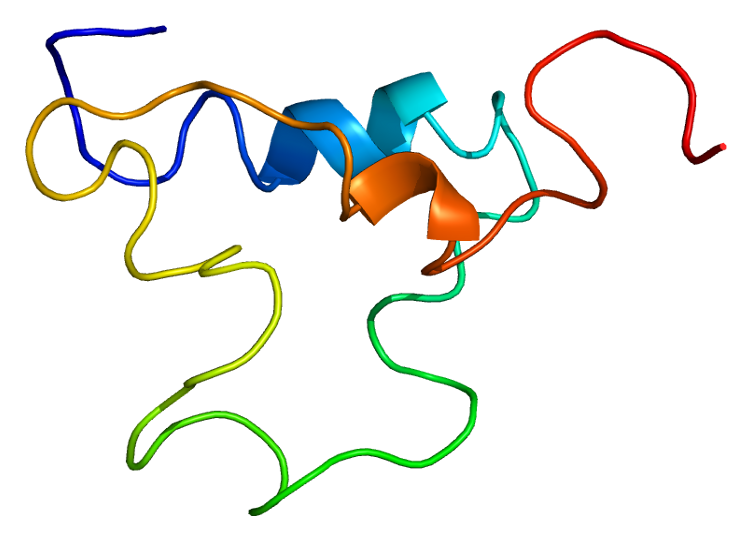 HMGB1 protein (high mobility group box 1) . Refers to the group of nuclear non-histone proteins HMG. Interacts with the nuclear DNA of the cell (regulates the expression of genes), plays a role in inflammation and adaptive immune response, being a cytokine mediator. HMGB1 is also an important regulator of mitochondrial function, cell proliferation and autophagy. An increase in the level of HMGB1 is observed in neuroinflammation after brain trauma, with epilepsy and cognitive dysfunction, and can also cause and exacerbate the inflammatory cascade in ischemic damage. 7. Soluble suppressor of tumorigenicity ST2 (soluble suppression of tumorigenicity 2). Participates in immune reactions, stimulates increased differentiation of various subsets of T cells and triggers antigen-independent production of cytokines. It is associated with age-related diseases, such as type 2 diabetes, cardiovascular diseases. 6. Cytoskeleton and hormones . The cytoskeleton is a cellular component, whose role has been significantly underestimated for a long time, and is now recognized as a significant factor in various cellular functions. And this is of vital importance for signaling networks that connect cellular processes, such as polarization, organelles mobility, reactions to external signals. Oxidative stress can lead to damage to actin cytoskeleton and apoptosis. Thus, it is not surprising that the cytoskeleton plays an important role in aging and age-related diseases. Hormonal cascades are regulated by positive and negative feedback loops and, thus, change rapidly, and affect the production and secretion of each other. Dysregulation of hormones with aging is well known. It is now believed that hormones directly affect health in the aging process and represent the main goals in anti-aging therapy, for example, -Klotho and ghrelin. For example, ghrelin or synthetic agonists are used as measures to increase appetite and muscle mass in disorders associated with senile asthenia. In addition, most hormones are easily detected in serum and urine and they can be good prognostic factors of biological aging. 1. Growth Hormone . Growth hormone, which stimulates growth, reproduction and regeneration of cells. HGH stimulates the production of another hormone, IGF-? through the JAK-STAT signaling pathway. Therefore, it is suggested that growth hormone exerts its effect mainly through IGF-1. 2. Insulin-like growth factor ? 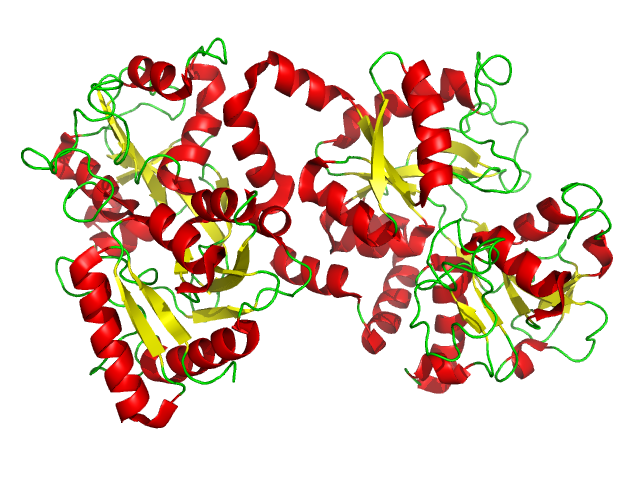 IGF-I (insulin-like growth factor 1 ). Promotes growth and development of the fetus during pregnancy and after birth in the postnatal period. Although the IGF-1 gene is ubiquitously expressed in the body, IGF-I is mainly produced in the liver. IGF-1 plays a decisive role at the molecular level in many processes, such as carbohydrate, fat and protein metabolism, homeostasis and cell organization, cell differentiation, cell aging and apoptosis. He also participates in various physiological and pathophysiological processes associated with the immune system, inflammation, mitochondrial dysfunction and age-related diseases. 3. Klotho . Transmembrane protein, which controls the sensitivity of the body to insulin and plays an important role in cellular homeostasis. It is one of the proteins most clearly associated with aging, its amount decreases markedly with age. Very actively explored in modern gerontology. 4. Growth factor of fibroblast growth 23 (fibroblast growth factor 2? FGF23) . FGF23 is a member of the fibroblast growth factor family (FGF) and is responsible for the metabolism of phosphate and vitamin D. It is secreted by osteocytes, for its biological actions requires-Klotho as a co-receptor. 5. Growth factor of fibroblast growth 21 (fibroblast growth factor 2? FGF21) . 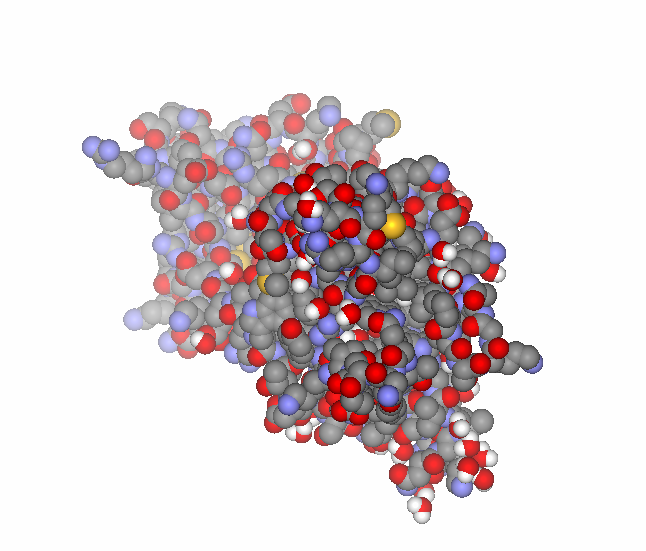 FGF21 is a hepatocaine, that is, a hormone secreted by the liver. Regulates through the central nervous system the intake of glucose. In addition to mitochondrial diseases, it is used as a potential biomarker in various pathologies, such as metabolic syndrome, diabetes mellitus, sepsis, kidney, liver, musculoskeletal, cardiovascular and eye diseases, as well as osteoarthritis and rheumatoid arthritis. 6. Resistin (Resistin, RETN) . It is adipokinom, that is, it is secreted by fat tissue (adipocytes). Resistin plays an important role in many processes, such as inflammation, cell proliferation, apoptosis and the functioning of mitochondria. Resistin is associated with the emergence of resistance to insulin and leptin Elevated levels of resistin have been reported in adults and elderly people with heart failure, ischemic heart disease and other cardiovascular pathologies. 7. Adiponectin (ADIPOQ) . It is another adipokine, secreted from adipose tissue and circulates as a hormone in the blood. The level of adiponectin decreases in various pathological conditions, such as obesity, diabetes and coronary artery disease. Adiponectin regulates various processes, including those associated with aging, including inflammation, mitochondrial function, apoptosis and cell proliferation. So, it protects cells from inflammation, reduces the secretion of cytokines, inhibits the transmission of signals of the pro-inflammatory factor NF-κB. Adiponectin is actively studied as a biomarker for various diseases, including hepatitis C, inflammation, kidney disease, atherosclerosis, migraine, and also directly as a therapeutic target. Has a great potential as a diagnostic, prognostic and therapeutic biomarker of aging. 8. Leptin (LEP) . It is another circulating adipokin. In addition to adipocytes, it is also expressed in various other tissues: cardiovascular, reproductive, musculoskeletal, liver and neurons. Leptin controls body weight and energy costs. In addition, leptin regulates various physiological and pathophysiological processes, including apoptosis, angiogenesis, cell proliferation, energy metabolism, inflammation, diabetes, reproduction, obesity. There is clear evidence of the role of leptin in aging and in age-related diseases. 9. Grelin (GHRL) . It is a small peptide hormone secreted mainly in the stomach, intestines, pancreas and hypothalamus. It plays an important role in the regulation of appetite and metabolism. Causes multiple biological effects, such as: 1) increased appetite, 2) increased absorption of food, 3) modulation of glucose homeostasis and insulin sensitivity, and 4) increased production of growth hormone. 1) MicroRNA . Small noncoding RNA molecules that play an important role in the regulation of gene expression and are associated with aging and age-dependent diseases. 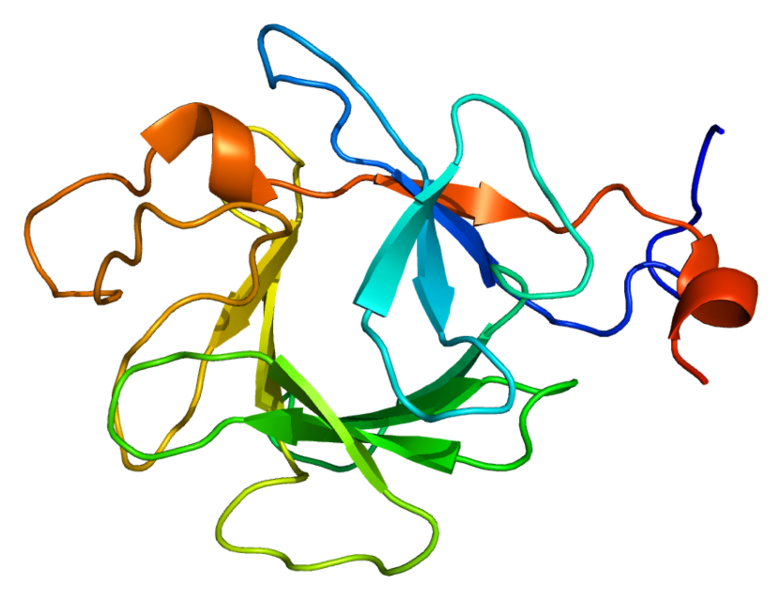 2) Adenosylhomocysteinase (Adenosylhomocysteinase, AHCY) . It controls intracellular levels of AHC (S-adenosylhomocystein), which is important for methylation and metabolic processes. A high priority in the evaluation of AHCY is based on the fact that AHCY dysregulation in the aging process and in age-related diseases has already been proven and direct and indirect inhibition showed an obvious therapeutic effect. 3) Circulating (extracellular) microvesicles . Small (0.1-1.0 μm) extracellular vesicles present in the blood. They enter the blood from different types of cells, mainly from platelets, as well as from erythrocytes, granulocytes, monocytes, lymphocytes and endothelial cells. They can be released during cell activation, cell damage, cell aging and apoptosis. They contain immunologically active molecules that affect various cellular processes, such as inflammation, coagulation, antigen presentation and apoptosis. 4) Keratin 18 (KRT18) . Refers to cytokeratins, proteins, of which intracellular intermediate filaments of the cytoskeleton of epithelial cells are composed. KRT18 is associated with mitochondrial dysfunction. It is a known marker of apoptosis and was suggested as an indicator of the progression of chronic liver diseases, such as non-alcoholic fatty liver disease, a very common pathology associated with metabolic syndrome. 5) Glycoprotein nonmetastatic melanoma B (glycoprotein nonmetastatic melanoma B, GPNMB) . Membrane protein, GPNMB has anti-inflammatory and regenerative functions. Thus, in acute renal and hepatic insufficiency, GPNMB contributes to the polarization of macrophages and the balance between fibrosis and fibrolysis. Similarly, the beneficial effects of GPNMB and its significance as a biomarker are described in non-alcoholic steatohepatitis and wound healing, where it regulates crosstalk between macrophages and mesenchymal stem cells. In addition, the important role of GPNMB is manifested in neurodegenerative diseases. Thus, GPNMB proved to be a neuroprotective agent in the animal model of amyotrophic lateral sclerosis and cerebral ischemia. 6) Lactoferrin (LTF, lactotransferrin) . 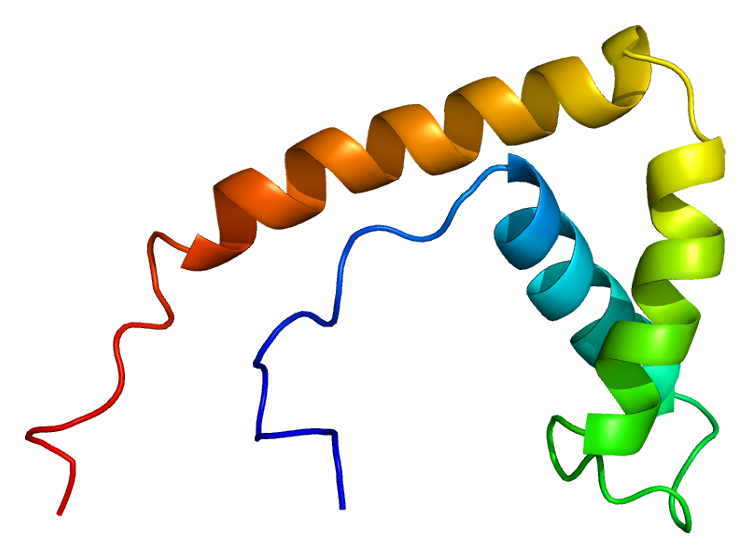 Polyfunctional protein from the family of transferrin. It is one of the components of the immune system, participates in a system of nonspecific humoral immunity, regulates the function of immunocompetent cells, is an acute phase protein of inflammation. 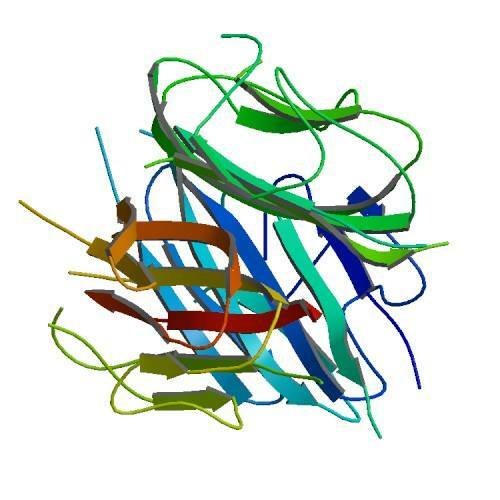 Lactoferrin has the potential as a biomarker in the detection of age-related neurodegenerative diseases - Alzheimer's and Parkinson's diseases, as well as cardiovascular pathologies. Summing up their research, the authors believe that the panel of biomarkers they form should be more effective in preventing premature aging than individual markers. Accumulation of small deviations in health can ultimately lead to a greater, more clinically significant, malfunction of the body. The panel of biomarkers may be more sensitive to relatively small changes, and together it will help to identify at an early stage a general decrease in body functions that will contribute to the development of senile asthenia. Cardoso AL et al. Towards frailty biomarkers: Candidates from genes and pathways are regulated in aging and age-related diseases. Ageing Res Rev. 2018 Jul. 30. pii: S1568-1637 (18) 30093-X. 18/06/2018 What is depression and why does it occur more often?